The new Tesla Model 3 is only $35K? That’s at least what their advertising would like you to believe. It’s only a “bit more” expensive than your last vehicle purchase. Maybe it’s finally time to get on that; you’ll save so much money on gas too! Hmm… it seems too good to be true, let’s slow down and take a moment to do some due diligence… after all, the advertised price is after government tax rebates and alleged gas savings. That seems like a shady way to advertise… after all, the base purchase price is really ~$47,600 and after all the fees and high financing costs it’s really much, much more. Pay Attention to the Small Things, Because They Add Up Quickly! Short term pain for long term gain. Many people will avoid spending $100-200 to replace their lights with a more efficient alternative. 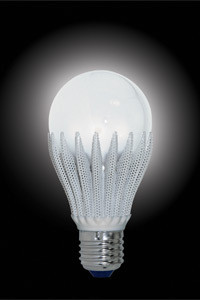 Recently I replaced the last 16 bulbs in my house with LEDs, the investment of $128 will break-even in less than 18 months and save me approximately $2,000 over the next 20 years. At this pace, assuming no increase in electricity cost for the next 20 years (which is unlikely), worst case scenario I will earn an annual ROI of 33.3%; which is far greater than the historical average ROI of the stock market historical average of 10.1% (8.7% adjusted for inflation). 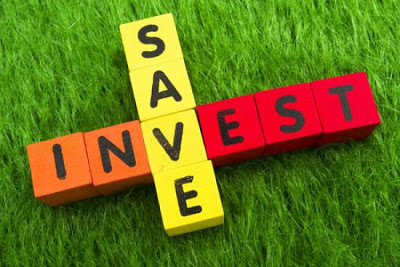 There are many cases when masterful saving can outperform systematic investing and it’s worth paying attention to. Over the last 112 years, the stock market has averaged an annualized return of 8.5%*. If you were to invest a single dollar into the market and receive the average returns, in 30 years it will be worth $11.56 (see “The Power of Compounding”)! Let’s translate this into a figure that will scorch an image into your mind that will hopefully transform your perception of the importance of saving and power investing. Let’s talk in terms of something that keeps us away from doing what we want, when we want to. Yes, that’s right… work!